The area of the present city district Wilmersdorf-Charlottenburg was already documented in 1293. The most famous historical landmark, the castle “Schloß Charlottenburg”, was originally built as a small summer residence for Princess Sophie Charlotte, in the baroque style at the end of the 17th Century. Over the following centuries the ruling royal family expanded the property. 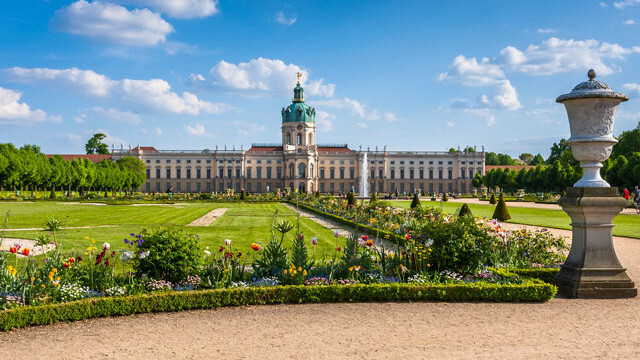 Today the “Schloß Charlottenburg” is with a sprawling park a popular destination and a tourist magnet. But Wilmersdorf-Charlottenburg is much more. This middle-class district extends to approx. 65 square kilometers and is divided into westerly Grunewald/Dahlem, northerly Westend and Charlottenburg/North Charlottenburg, easterly Wilmersdorf, southerly Schmargendorf and centrally Halensee. The Grunewald forest, with the lakes “Schlachtensee”, “Krumme Lanke” and”Halensee” is an attractive recreational area and popular for about 313.000 inhabitants and visitors. Many sport clubs offer the modern city dwellers a diverse range of recreational activities, like tennis, horse riding, golf, soccer, hockey, and very modern health clubs. 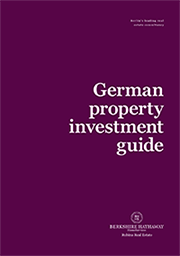 The above-average purchasing power index is reflected in the popular and exclusive shopping areas like the “Wilmersdorfer Straße”, “Savignyplatz” and the “Kurfürstendamm”. The average population is reflected by these central boulevards of Wilmersdorf-Charlottenburg. Exclusive retail, event-oriented restaurants and various cultural facilities are offering the residents and their guests a typical Berlin city life. The excellent infrastructure and the perfect public transportation system allow even a life without a car. By the easily accessible city highway, at the Berlin exhibition grounds “Funkturm”, it takes about 30 minutes, to get to the new airport, Berlin-Brandenburg International, by car, as well as by public transportation. An excellent medical care, excellent schools and care facilities by public and private day care centers for children, make this residential district of Berlin also very popular for families with children. In recent years, a significant influx of population was observed. The largest population is formed by the middle forties. This trend is also reflected in the housing market. Many of the last free construction areas developed in the past five years, into modern residential areas with attractive condominiums. This as “City-West” known area reflects the dynamic growth, again in the midst of historic buildings such as the Olympic stadium, numerous historic buildings, cozy farmers’ markets and prominent residents, in an impressive manner.